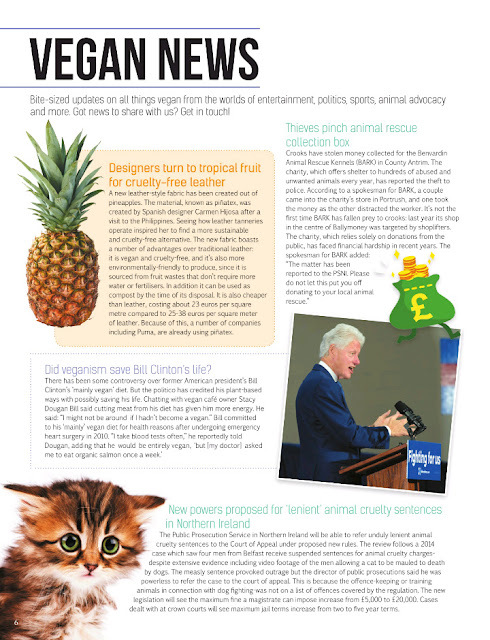 I was really interested to read on the 'Vegan News' page that pineapple is now being used to make leather-look material. Isn't that clever? I would love to see an example of the leather-look items. 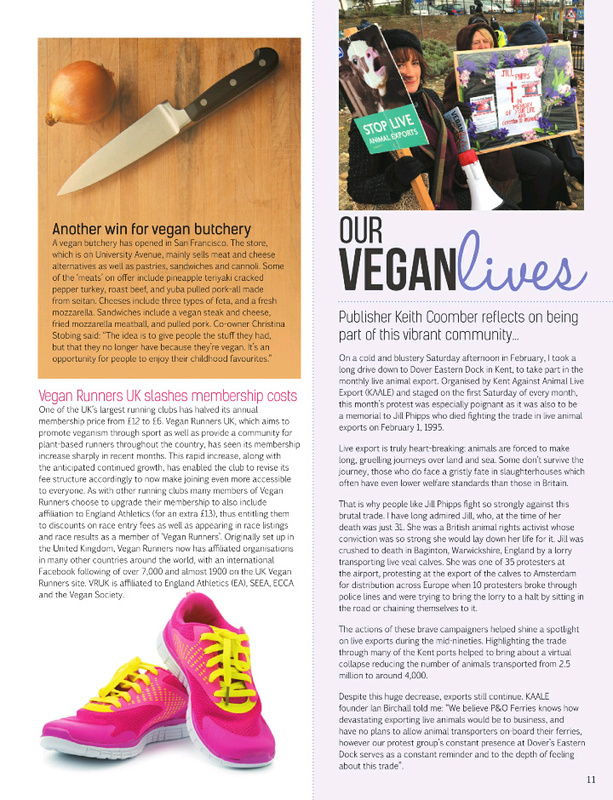 After reading about Johanna's experience with a vegan butcher in Edinburgh, it was timely to read a piece on vegan butchery options in San Francisco. I confess the idea of a 'vegan butcher' is odd to me but I do like the sound of pineapple teriyaki cracker pepper 'turkey', which is one of the options mentioned here. A round-up of new vegan items had me bemused but interested by vegan eggs, which seem to look like the real thing. 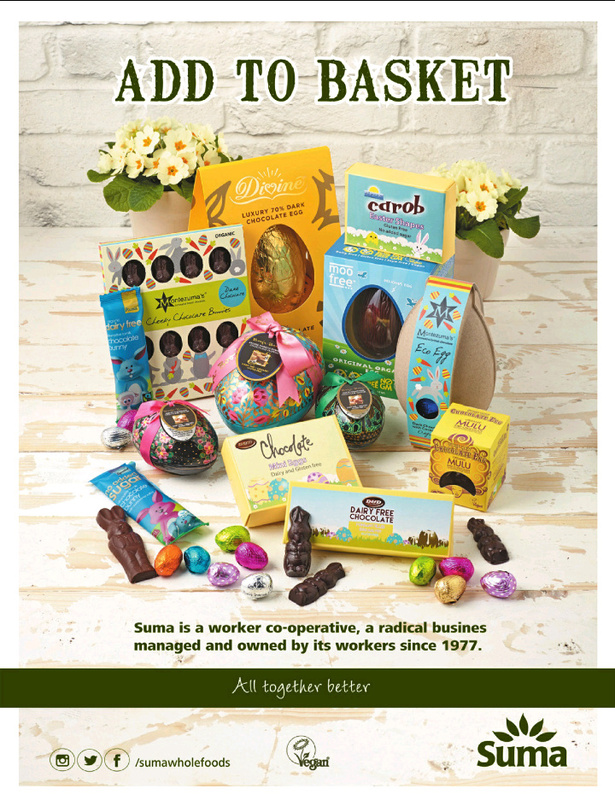 I'm more drawn to the various chocolate products mentioned, but am sure there will be people pleased to know a full egg substitute is available. 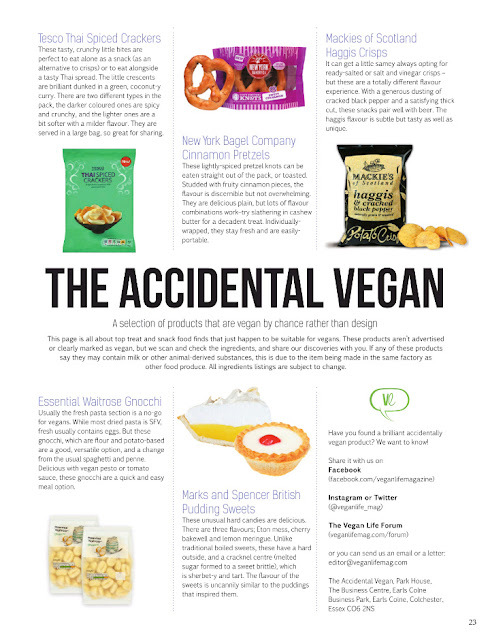 On The Accidental Vegan page, my heart skipped a beat when I saw images of lemon meringue pie and bakewell tarts and a reference to Marks and Spencer. Alas, M&S are not making vegan pies or tarts but they do have some new sweets in those flavours, and the sweets are vegan friendly. I am very partial to bakewell tarts and whilst I've made vegan versions myself, I may have to try the sweets out. Have you enjoyed any food trivia lately? 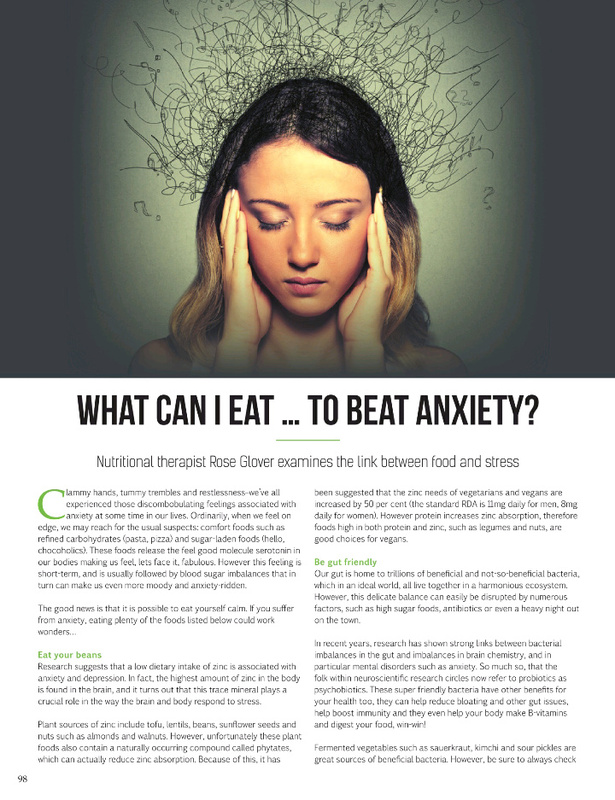 And do you notice a link between your diet and your mood? I haven't picked up a copy of the mag as of yet, I was excited of its launch. First I couldn't find it where I lived and then eventually the town where I work WHSmith started stocking it, I flicked through ad was a tad disappointed as like other mags, its was utilising recipes from newly published cookbooks and I am bored of that, as I could buy or borrow the cookbooks from the library. I was looking for some originality. 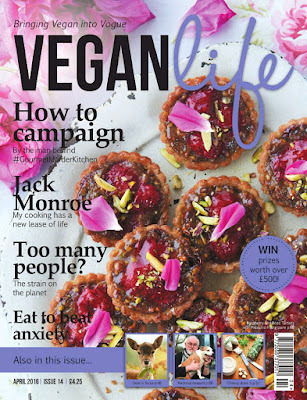 But you have showcased some interesting subjects that I'd like to read, so I will pick up this edition of the mag. thanks to you. I'm glad this edition appeals. I hadn't noticed a trend towards sharing recipes from cookbooks - I wonder if it was specific to the magazine you browsed, but then again, I don't tend to borrow cookbooks from the library so I may also not have noticed. Vegan butchery is an interesting idea - there is a vegan butcher in sydney who is crowdfunding to stay open so I guess there is still not a huge demand. I noticed Mackies haggis crisps are one of the accidentally vegan products - I tried these recently and was surprised they tasted quite meaty. And those tartlets on the cover are really beautiful. Though I was surprised I have not seen the magazine in the uk though I found a copy once in Australia. I guess I haven't been browsing magazines much on our trip here. I think I've seen the magazine most often in Sainsburys - oddly I don't think I've ever noticed it in WH Smith but then I don't often look at magazines. Did you like the crisps?! 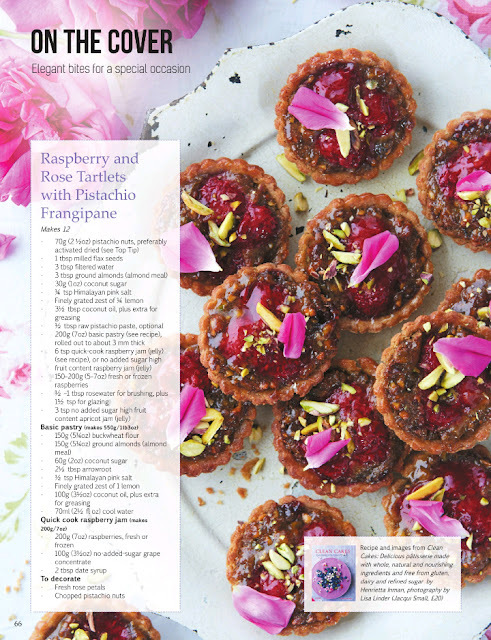 The rose and raspberry tarts look fabulous! 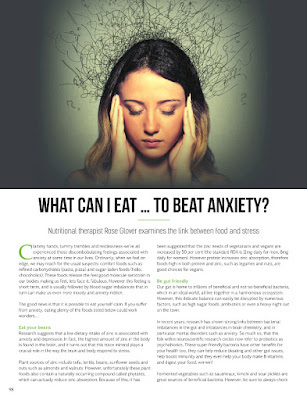 Thank you so much for sharing this magazine Kari...I do get a Vegetarian Magazine in the mail but to tell you the truth, I'm not happy with it. I may need to see if I can find this magazine. It looks promising. Thanks Julie, I'm so glad the reviews are of use! This magazine looks fab. And a digital copy sounds great, I never bother with the paper kind anymore. 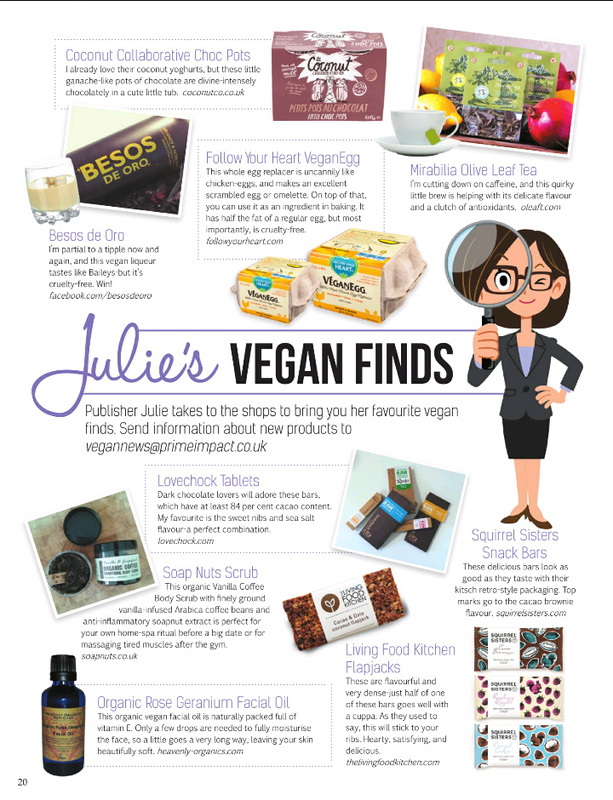 "bemused but interested by vegan eggs" I have tried the eggs! The container is just shaped like that, on the inside, it's just a powder substance in a bag - nothing that looks like real eggs. They are just ok.
And The Butcher's Son in Berkeley (the article says San Fransisco, which is close by) is on my to-try list. It's only about an hour from me and I tried some of their food at a pop up once and it was amazing!